Image: view from the cave entrance. Location: A3 exit Limburg, 22km on B49 to Weilburg. A45 exit Wetzlar, 24km on B49 to Weilburg. A5 exit Gießen, 48km on B49 to Weilburg. 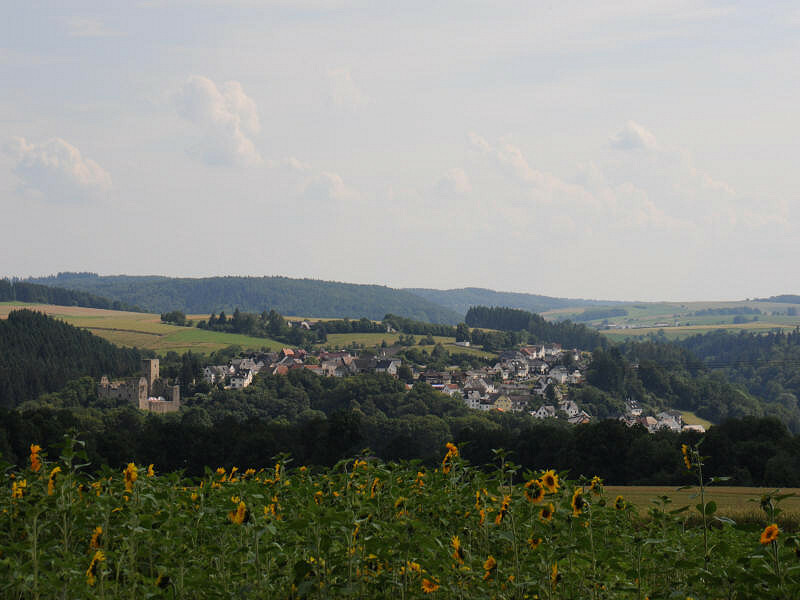 From Weilburg on B456 and L3025 to Kubach. 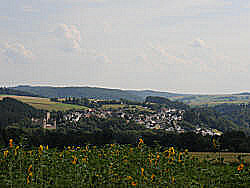 The cave is 1km southof Kubach at the road towards Weinbach. Open: 28-MAR to 01-NOV Mon-Fri 14-16, last tour 16, Sat, Sun 10-17, last tour 17. Fee: Adults EUR 4, Children (6-18) EUR 2.50, Children (3-5) EUR 0.50, Children (0-3) free, Students EUR 2.50, Disabled EUR 2.50, Caver EUR 2.50. Gruppen (20+): Adults EUR 3.30, Children (6-18) EUR 2, Students EUR 2, Disabled EUR 2. Museum (without cave): per Person EUR 1. Dimension: L=200m, VR=65m, St=347, H=85%rel. BH: H=30m, L=120m, W=26m. Guided tours: L=500m, D=45min, V=40,000/a [200?]. Address: Höhlenverein Kubach e.V., Weilbergstraße 29, 35781 Weilburg-Kubach, Tel: +49-6471-94001 (Kiosk Höhlenhaus), +49-6471-94002 (Vereinsvorsitzender). 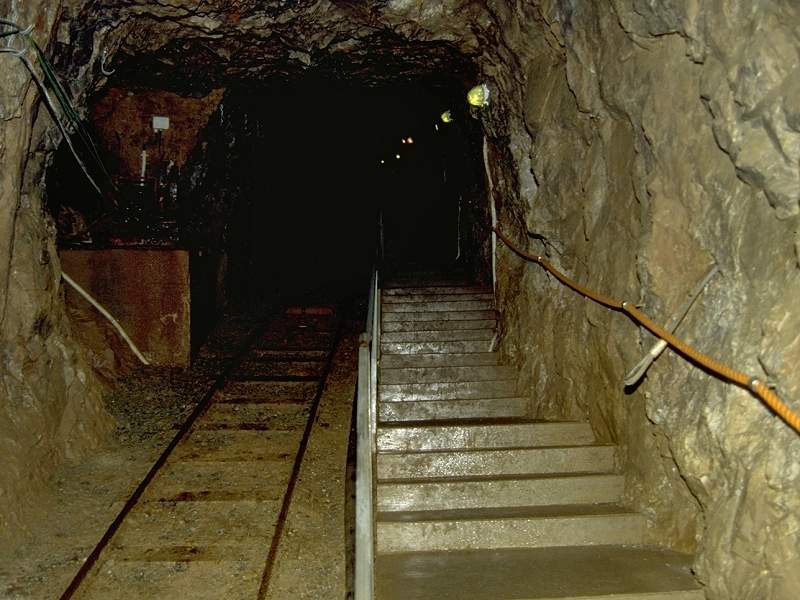 Image: the entrance tunnel into the Kubacher Kristallhöhle. 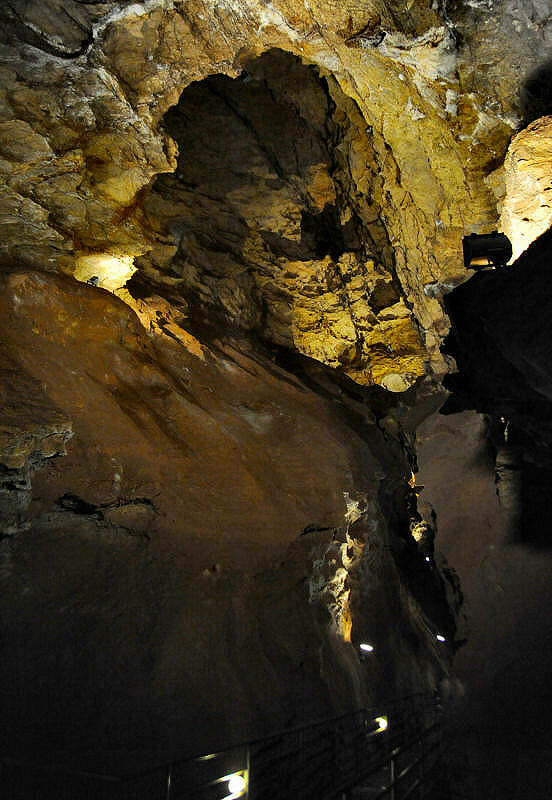 1881 during phosphorite mining operations a beautiful dripstone caves was found, but its location was lost soon. 1906 a dripstone cave mentioned in a newspaper and in an expertise by the Bergamt (mining authority). 1972 Schröder starts to search for this lost cave. 1974 probe drillings discover two caves which were unknown so far, one of them is the crystal cave. 1975 bis 1980 discovered caves developed for the public. 1981 inaugurated, 73.000 visitors in the first year. The Kubacher Kristallhöhle is one of very few show caves in Hessen (Hesse) and as the name crystal cave suggest a special cave too. But actually the term crystal cave is exaggerated and the true specialties of the cave are something else. This cave is a huge crack or cleft in the rock. It was formed along pre-existing tectonic cracks in the rock by the solution through almost standing ground water, The walls show impressive corrosiove solutional forms. Like the original crack the cave is tilted about 15° from the vertical. The deepest point of the tour is almost 70m below the surface and the cave is almost 30m high at this point. This makes this chamber the highest chamber of any show cave in Germany. An artificial adit was built from the entrance building down to the niveau of the cave. 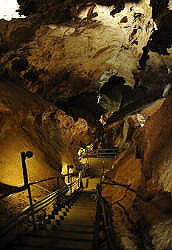 The natural cave is entered at its highest point on one end of the cave. The path follows the almost straight cleft leading continually downwards until it reaches the lowest point at the other end of the cave. From here the visitors return on the same path to the entrance. 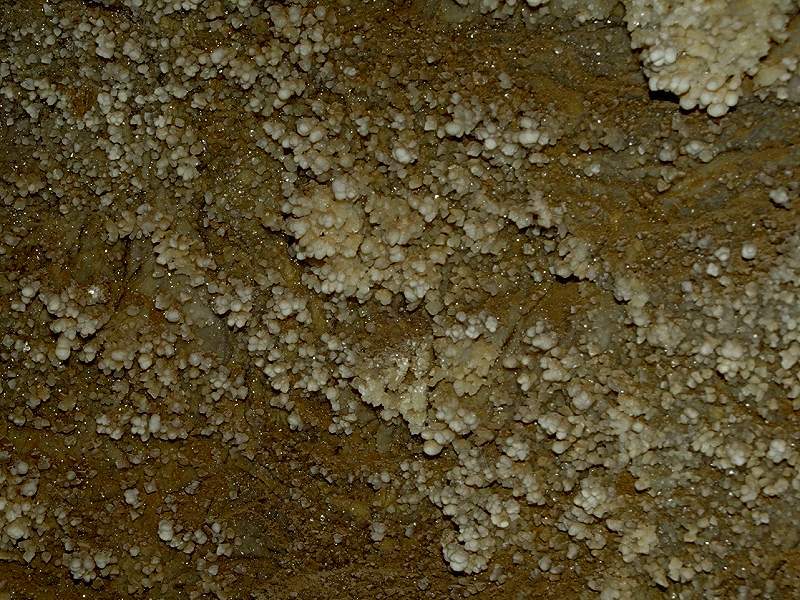 The cave has almost no normal speleothems like stalagmites or stalactite, except for one location. But there are numerous impressive solutional forms. The above description make a technical remark necessary: caves are always difficult to visit, even well developed show caves have dripping water, slippery paths, dark spots, are cool, and of course have steps. So they always require a minimum of physical fitness and sure footedness. The management found it necessary to add a warning at the cave entrance. 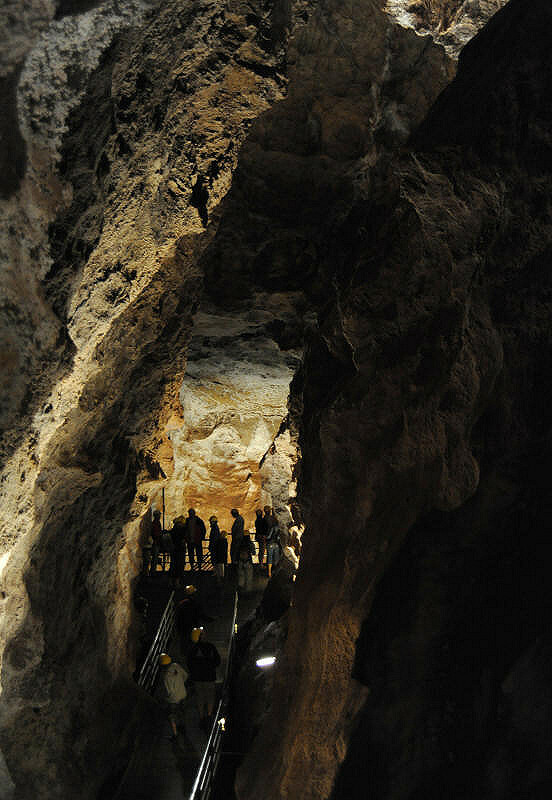 People with cardiovascular diseases and walking disabilities are discouraged to visit the cave. This cave goes down 70 meters and obviously it is necessary to climb this height on the way back. This cave was discovered in 1974, after an intensive search. The Höhlenverein Kubach e. V. (caving club Kubach) was founded after an initiative of the teacher Karl-Heinz Schröder. He discovered old documents, which told about a beautiful cave named Polsterhöhle and decided to find this cave. With like-minded citizens of Kubach he founded the caving club which actually has the search for the Polsterhöhle in his statutes. Image: probe built by the cavers to explore the cave through the bore hole. 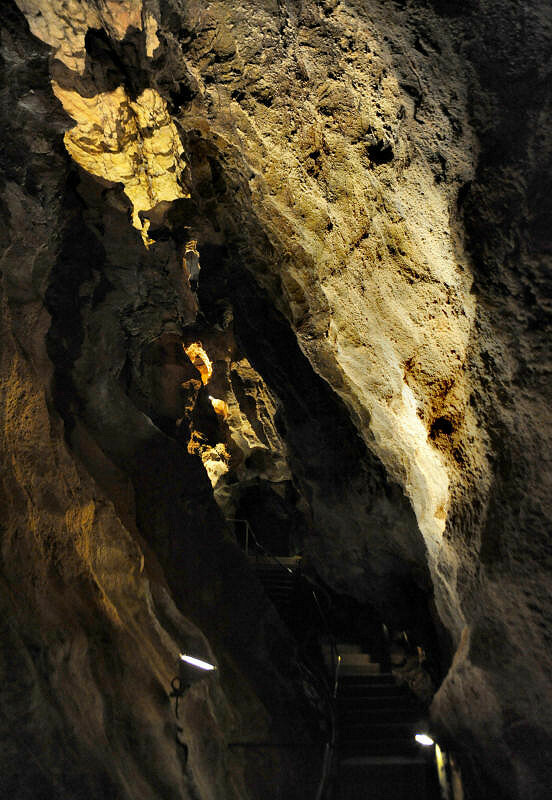 The Polsterhöhle was discovered more than 100 years earlier during the local mining efforts. 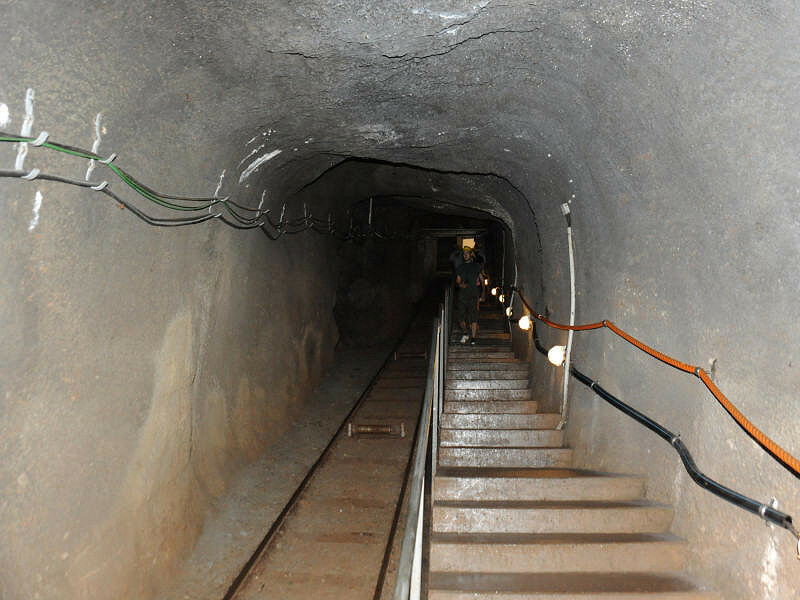 When the mine was closed, the shafts were filled for security reasons and so the cave was not accessible any more. Unfortunately there were no exact surveys from the mine and its location, so the cave was still known but not its location. 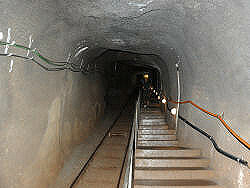 Schröder started a series of trial drillings which finally revealed a cave. 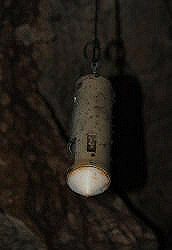 A probe with an camera was built by the cavers and lowered into the borehole, it brough back pictures of fine speleothems. So it was decided to drill a much bigger and much more expensive hole with an diameter of 50cm. This was wide enough to lower the cavers into the cave. When they explored the cave they discovered, that the speleothems were actually rather small. It had been impossible to estimate the size of the speleothems on the pictures as there was no scale. And the cave did not match the old desctriptions, so it was not the cave they were looking for. Nevertheless the cave was extraordinary and so they decided to develop it as a show cave. But the search for the Polsterhöhle is continued until today, every year the club invests his money in new trial drillings. Image: narrow passage to the second chamber which is covered by cave coral. 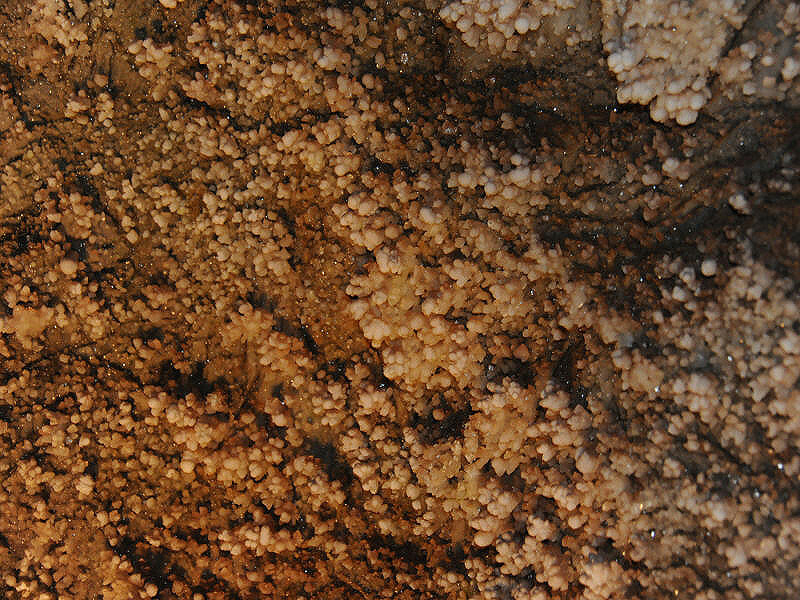 The cave has two spots with extraordinary speleothems, a strange and rare speleothem called bulbous calcite or cave coral. 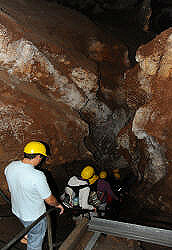 The first location is right at the entrance in the first chamber of the cave. 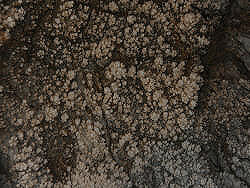 The walls are covered by cave coral, somtimes spottet with other minerals. 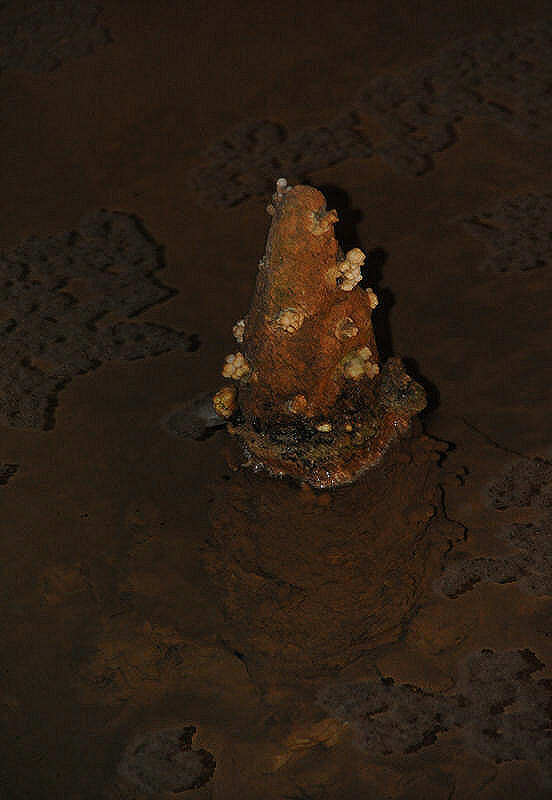 Here is the 50cm borehole and the small group of stalagmites which was discovered first and is actually the only dripstone formation in the cave. The second area is a narrow passage in the middle of the cave, with even more beautiful cave coral which is filling holes and cracks and rather difficult to spot. We recommend to walk slow, look up and back to discover the hidden minerals. This is actually one of the main sights of this cave. The are two phases of mineral formation in the cave. The first phase was before the formation of the cave. At this time primary clefts were filled by ground water and minarals were formed in hydrothermal processes. 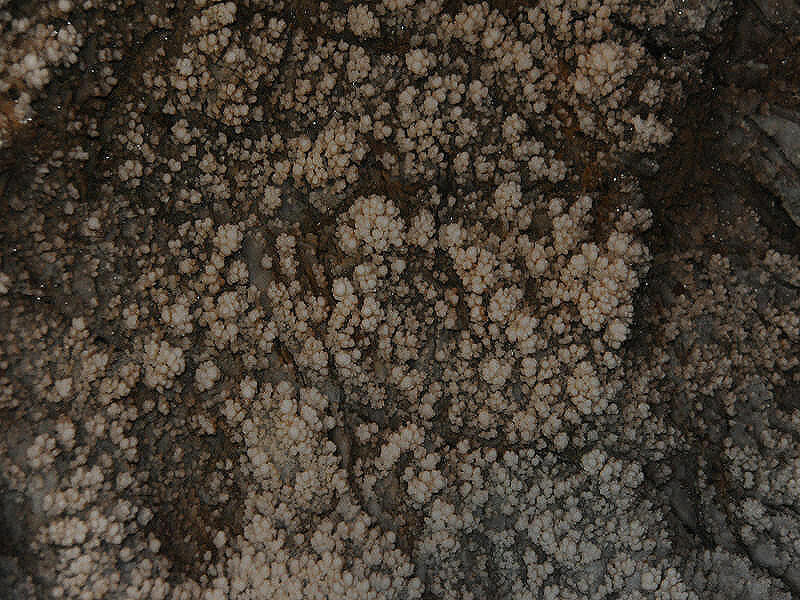 The formed minerals were mostly siderite (FeCO3), ankerite (Ca(Fe++,Mg,Mn)(CO3)2) and aragonite (CaCO3). In the second stage the cave was formed and the minerals came in constact with oxygene. Oxidation and weathering of the minerals started, and the formation of speleothems started. The waiting time for the next cave tour may be spent in three different ways. 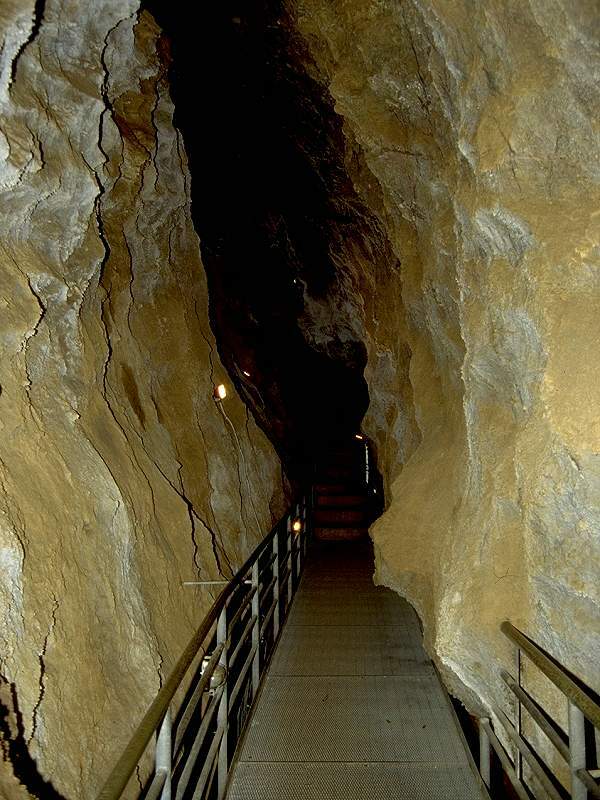 In the upper lvel of the entrance building is a Höhlenmuseum (cave museum), the entrance fee is included in the cave entrance fee. 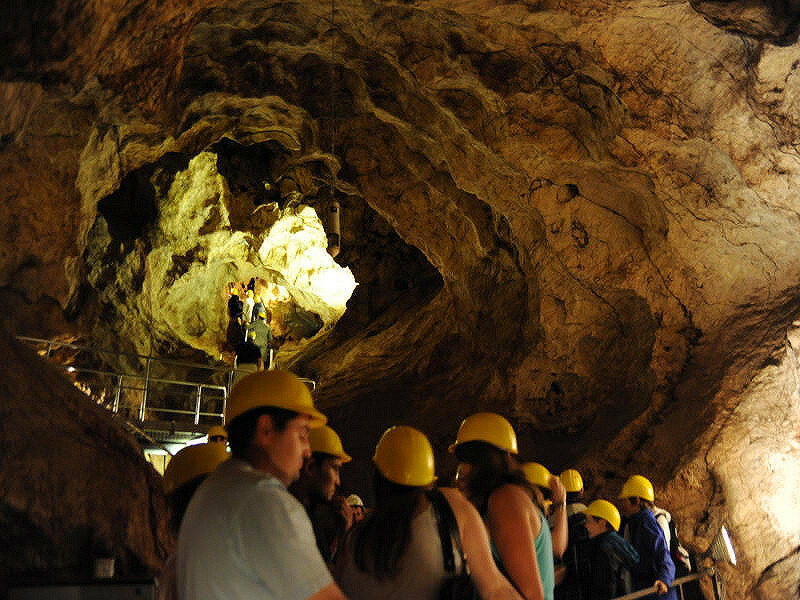 It has exhibitions on the local mining history, the history of the cave exploration at Kubach, and the mineralogy of the cave. In front of the building is a stone exhibition with numerous interesting huge rocks of this geologically interesting area. There are basalt pillars, sanstones, quarzites, and shists. This exhibition has no connection with the cave but it is definitely interesting for everyone interested in geology. And the third opportunity is the restaurant, which offers coffe and cakes, but also warm meals. Search Google for "Kubacher Kristallhöhle"